We would love to stay in touch. Sign up for our newsletter to stay updated with the latest news and projects. 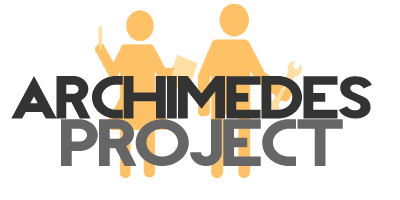 Archimedes Project is a startup studio that works with entrepreneurs to develop social enterprises. We leverage existing technology to increase clean drinking water and sanitation access for bottom-of-the-pyramid households around the world. Using leverage to solve one of the world's biggest problems. The world has the technology, resources, and expertise necessary to get water and sanitation to those who need it. All that’s missing is a little leverage. Our four-stage process allows us to guide entrepreneurs through building a clean water or sanitation venture by understanding the problem, generating a solution, validating and testing it. The venture building process begins with a four-month research stage, during which an aspiring entrepreneur clearly defines a water or sanitation problem and develops in-country contacts. We organize an ideation event where professionals from across sectors use their professional experience, the entrepreneur’s research, and the knowledge of target-country experts to design a business concept. During the six-month development stage, we create an enterprise development team to help the entrepreneur vet the viability of the selected solution and develop an operating plan. During the three-month launch stage, the entrepreneur and the enterprise launch team test the minimum viable product for product-market fit with the first 100 customers. If you believe in the power of entrepreneurship to create sustainable change, join us as a donor. We are a launchpad for scalable clean water and sanitation enterprises that leverage existing technology, knowledge, and partners, by collaborating with an entrepreneur in all aspects from developing an idea to launching and growing the business. Cultural and linguistic fluency is essential to an understanding of the environment that their enterprise will operate within. Women are often responsible for water and sanitation and health. Female leadership allows the company to be more responsive. There are hundreds of existing water and sanitation products and services. We focus on business model innovation. Clean drinking water and dignified sanitation underpin nutrition, health, education and gender equality. We build customer-first, human-centered enterprises from the first stage of research to fully staffing and scaling. We identified 25 countries with a high need for clean water and toilets, and relative political and economic stability. Together we can Solve the Clean Water Crisis Today. Our mission is to prevent waterborne disease among developing world families by increasing access to clean water and sanitation. We do this by building ventures with locally-fluent entrepreneurs to leverage existing technology, experience and ideas. Copyright © Archimedes Project, Inc.